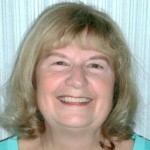 Diane J. Lewis resides in Paris, Ontario with her husband, Lloyd, and her son, John. After the tragic passing of her beloved granddaughter, Amanda, Diane began receiving messages and signs from the Other Side letting her know Amanda was okay. 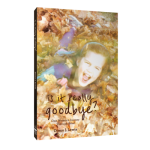 Her debut memoir, Is it really goodbye? chronicles her experiences. Diane reaches out to others who are interested in, or have shared experiences like hers. She is available for speaking engagements and book signings, and can be reached at 519-442-3906.